The leading employers' programme for ensuring all LGBT staff are accepted without exception in the workplace. As Europe's largest lesbian, gay, bi and trans (LGBT) charity, we know that people perform better when they can be themselves. 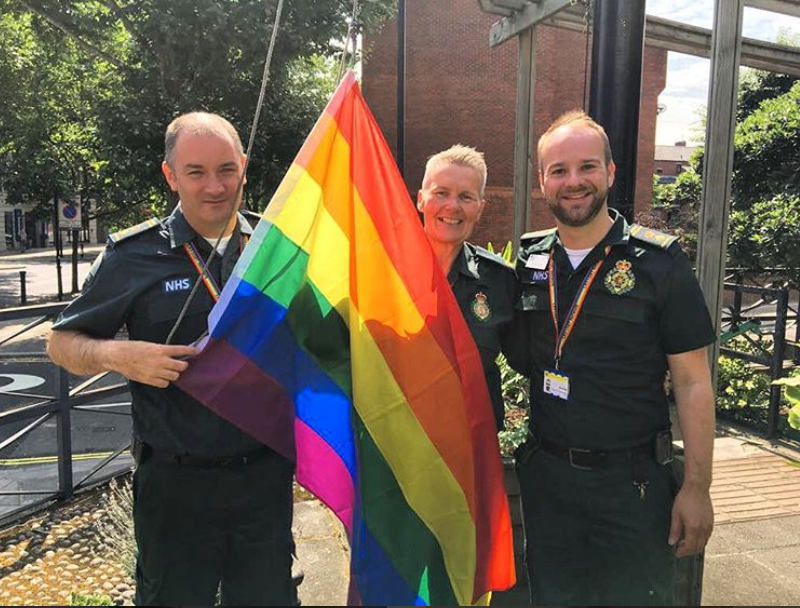 The Diversity Champions programme is the leading employers' programme for ensuring all LGBT staff are accepted without exception in the workplace. We work with over 750 organisations, all of whom share our core belief in the power of a workplace that is truly equal. Through them we've helped create inclusive and accepting environments for almost a quarter of the UK workforce. Having access to such a wealth of support and research, and benchmarking ourselves against the best employers… enables us to ensure our services are world class. The most inclusive employers develop structured and systematic policies and practices. They embed inclusion across their entire organisation. Supporting you to enter the Workplace Equality Index and Global Workplace Equality Index. These tools will tell you where you're doing great things and where you can improve. Providing tailored email and phone support and advice through a dedicated account manager. A diverse workforce creates diversity of thought, action and innovation. But in a competitive market, your workplace and culture needs to stand out to jobseekers. Giving you the Diversity Champion logo to use on promotional materials. Advertising five jobs for free on Proud Employers, our exclusive LGBT-inclusive jobs site. Listing you on the UK's only LGBT careers guide website, Starting Out. Becoming a Diversity Champion means joining a community of over 750 employers. Collaboration and learning from your peers keeps you at the cutting edge of practice. Access to our annual series of seminars and webinars. Topics range from Index best practice to global mobility. Discounted rates to our Workplace conferences, where you can connect with hundreds of colleagues across sectors. Facilitated introductions to other organisations through your dedicated account manager. We've been running the Diversity Champions programme since 2001. Years of working with employers in the UK and globally has informed our knowledge and expertise. Knowledge and expertise you can trust. Gaining access to our resources. These give you step-by-step guidance on different areas LGBT-inclusion of. From inclusive policy to senior leadership, our suite of resources is always expanding. Having your policies reviewed by our in-house team of experts for LGBT inclusion. Receiving discounted rates to our Empowerment programmes so your staff can step up as allies and role models in your workplace.